With the firm belief creativity can be nurtured, this is a series that features inspiring creativity from bloggers who share their visions and how they create them. With insightful words and images they not only create, they inspire others to create. This third part of the Inspiring Creativity series is filled with beautiful ideas for celebrating Fall. And, best of all, you will see HOW this featured 'inspiring mind' creates her works of seasonal decor, cooks delicious Fall recipes, and gathers props, with photography tips, for shooting captivating images of it all. Seeing beautiful images is the tip of the iceberg in developing your own creativity. Images are the sparks that flash in our minds, but seeing HOW those images were developed into their final versions ignites the sparks into flames of our own creative ideas. If you explore how to EXPAND your creative ideas by trying new methods, new materials, new combinations, then your flames burst into a wildfire . . . of creativity. Creativity is a process by which one utilizes creative ability. 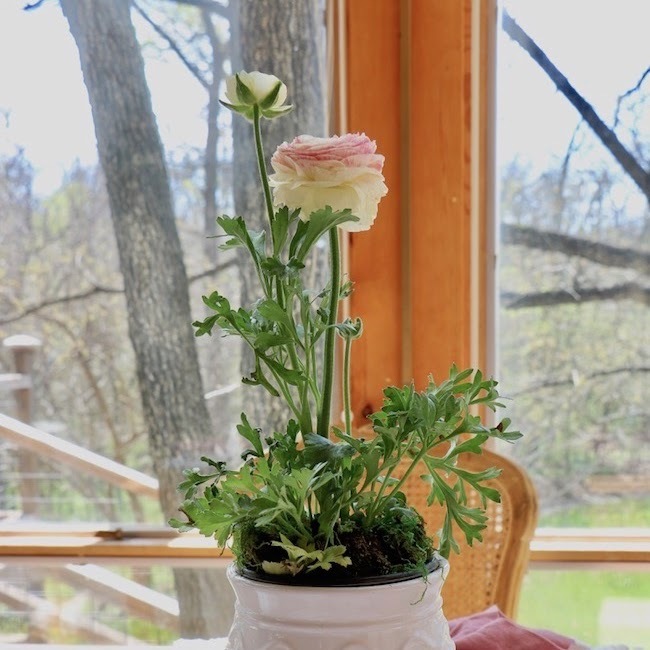 Lisa Tutman-Olgesby writes Celebrate Creativity from her home in Virginia with a desire to help "you create a home and life you love." Like all creative souls, her background is filled with awe-inspiring experiences that shape her present world. I think my experience as a journalist certainly influences my news-you-can-use blogging approach where I blend words and vibrant pictures to inform, entertain, educate, enchant and hopefully… inspire. 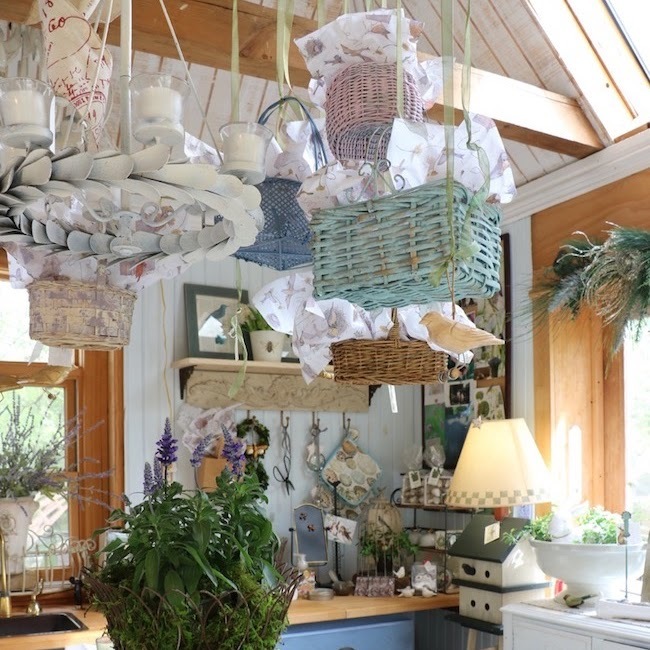 Lisa's About Me shares her award-winning broadcast journalism background as well as her creative contributions to premiere magazines ranging from Romantic Homes to Country Sampler Autumn Decorating (2018.) I will be watching for my own copy of the Country Sampler Autumn Decorating to buy for inspiration this Fall. Book art is amazing, and there are several designs available on the Internet for all seasons and styles. 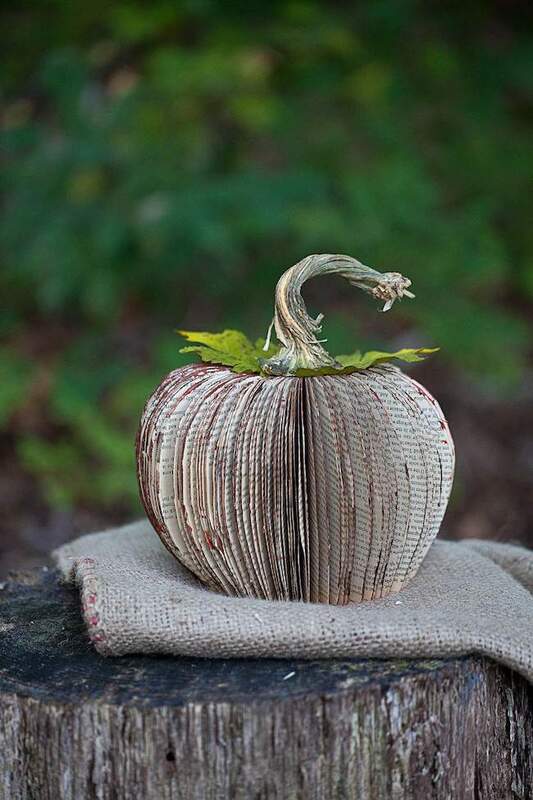 But this pumpkin book art steals the show with its green leaves, dried real pumpkin stem, and rustic allure. 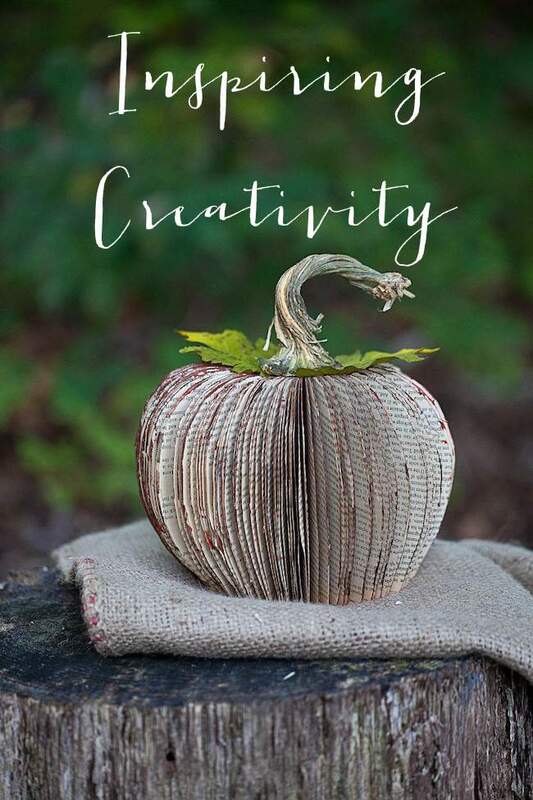 Get your creative thoughts flowing for how you would put your stamp on a pumpkin book art to make it your own style. 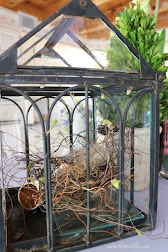 I am thinking French Country style for my house. Maybe a book written in French? Planning a Halloween party at your house? 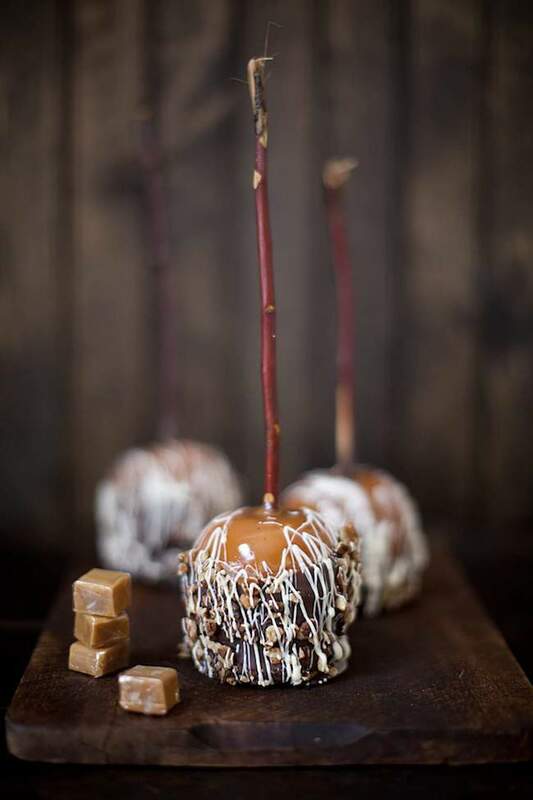 These "double chocolate decadently delicious caramel apples" have apple branches as their stems. Easy for holding an apple to keep chocolate and caramel off your fingers while eating and eye-catching on the serving tray. . . even cuter with a few leaves still on the stem. Hmmm . . . no apple trees in my yard. 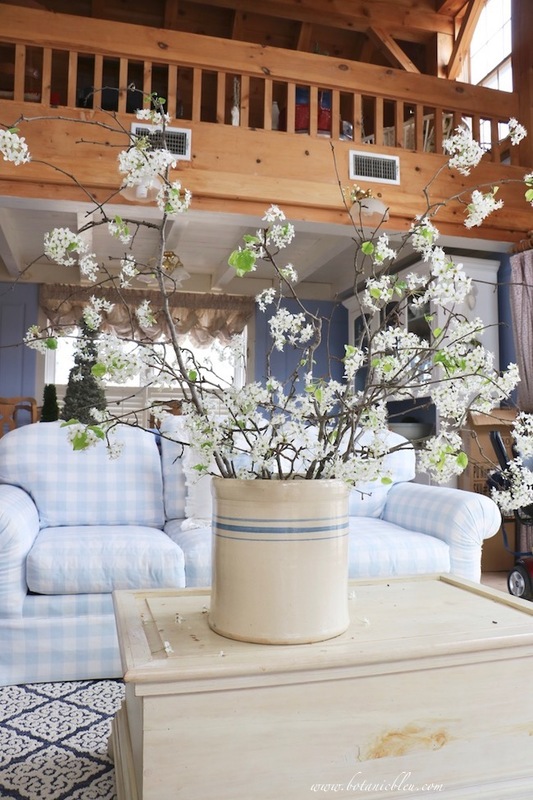 Do you think anyone would notice if I used pear branches instead? Improvise is the name of creativity. Another project I think I can do by following the directions at Double Dipped Caramel Apples. Do you ever wonder how photographers get those amazing stop-you-in-your-tracks photos? Lisa shares techniques, tips, tools, props, and lighting ideas to teach you how to make your delicious recipe photos magazine worthy. See Pretty Food Photography for a detailed explanation of how to photograph food. 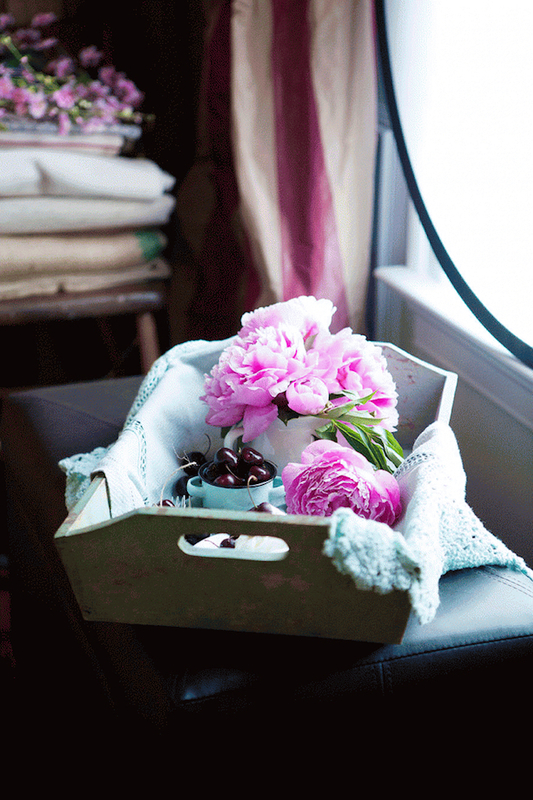 She shares the recipe for Cherry Pavlova and shares how she styled the photos. Behind-the-scenes details will help you get more creative with your food photography. She speaks from experience as a published photographer. See her experience for styling and photographing the Sunday Dinner cookbook cover (pub. by the University of North Carolina Press, 2015) at Get the Shot Cookbook Cover Shoot. How adorable are these reindeer ornaments? It is never too early to begin crafts for Christmas, and Lisa has so many beautiful ideas it was hard to choose ONE to share here. Christmas is my favorite season for decorating and crafts. There are more Christmas-related boards on my Pinterest site than any other topic. Christmas Greenery, Christmas Decor, French Country Christmas, and Christmas Beautiful Ideas are just a few of them. And, who do I pin to those boards? 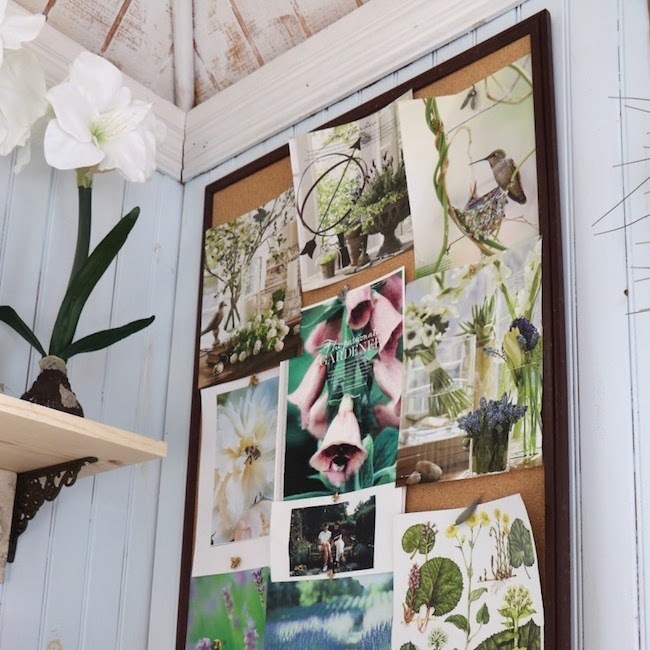 Lisa Tutman-Oglesby, of course, is a major source for pins to my Pinterest boards. As Autumn approaches, do you think about soup on the menu? Today is a rainy day with overcast gray skies and cooler temperatures, a high in the mid-80s, and I am thinking about soup. And we are loving the rain! Lisa's recipe for French Onion Soup has yummy Gruyère cheese with French bread and takes me back to sidewalk cafes in Paris. Onion soup is on the cafe menus, but is only listed as Onion Soup, not French Onion Soup. 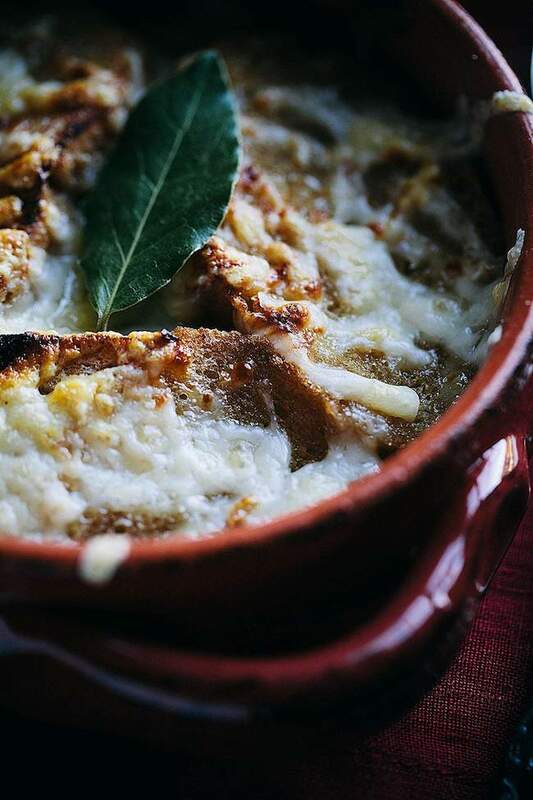 With rain forecast for the next six days, French onion soup is sounding delicious! Creativity sits at the heart and soul of this blog. My aim is that you’ll take my colorful tutorials, doable step-by-steps and other offerings and put them to good use to make your day easier, beautiful, more efficient or just plain fun. Take a look around. Try a new recipe, tackle an interesting project or attempt a craft you never considered before. Creativity lies within each of us. Use others' creativity to inspire and to encourage you to pursue ways to let YOUR creativity flow. In Lisa's words, "attempt a craft you have never considered before." Enjoy the process of trying something new. The first attempt may not be your best result, but along the way, you may learn something that will trigger a flash of insight to something different. A friend of mine related a story of how she and her sister would get together to try new projects, and invariably, at least one of the items would not turn out as they expected. It would be crooked, messy, or an absolute failure. Their response was to shout, "Skunked," and fall over in peals of laughter. Please hop over to Celebrate Creativity to PIN any of the photos in this post and to read the entire posts about the projects shown. Links are underneath each photo. 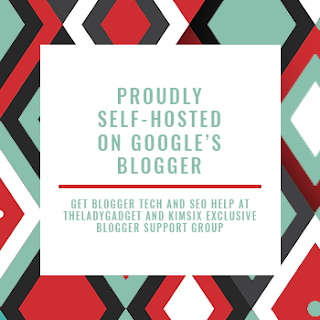 Connect with Lisa Tutman-Olgesby on Pinterest and on Instagram. Often her latest projects show up there first. If you missed the first two posts in the Inspiring Creativity series, you can find them here. 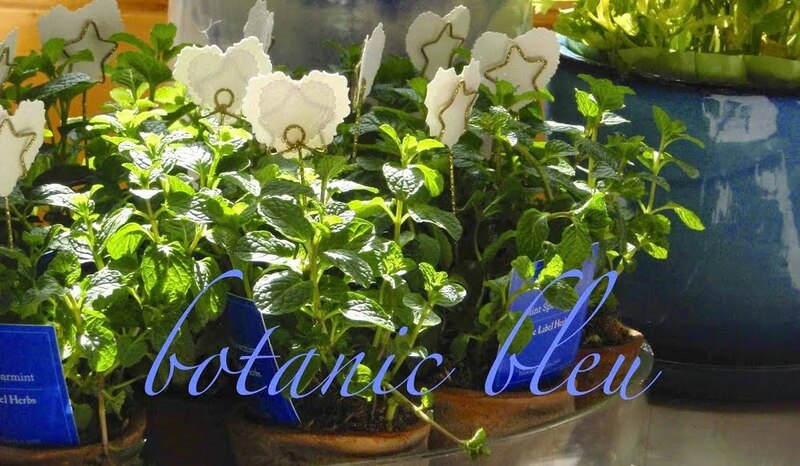 Would you like to have every Botanic Bleu post delivered straight to your email inbox? Enter your email in the BLUE sign-up box at the top of the right sidebar. Now, I'm singing in the rain . . .
Judith, Thanks for introducing me to Lisa! She is very talented! Thanks for your inspiration this morning! My problem is there is not enough energy in the day to do all I want to do. Wish we lived closer because we like many similar things. 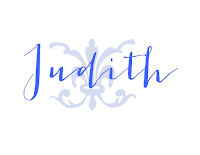 Loving these Creativity posts, Judith. You've found the most amazing creators to feature and I'm definitely inspired. Lisa is truly one of my favorite people and blogger....she is so very talented and truly an inspiration to us all....She has a heart of gold and is truly beautiful inside and out....So blessed to call her friend. Great, great feature here today!! 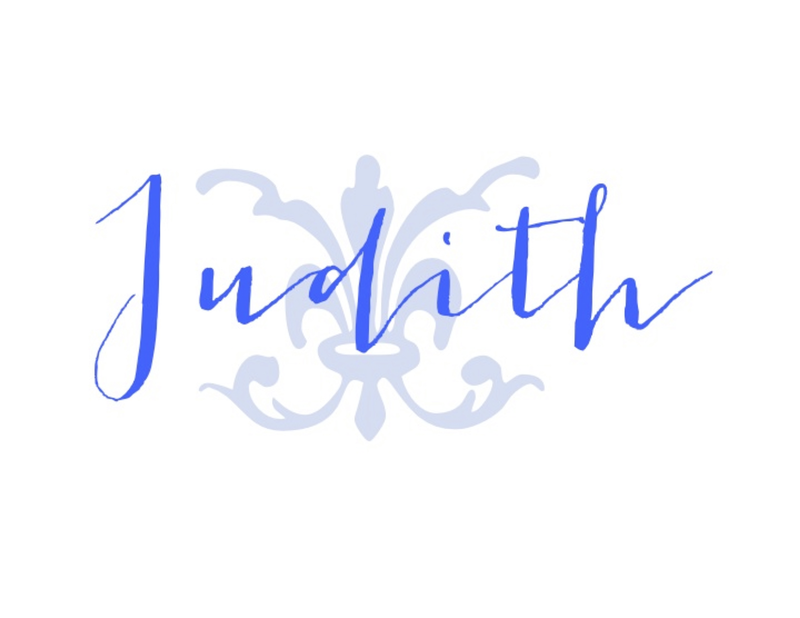 Excellent, Judith! Lisa is very creative and talented. Love the idea of the pumpkin from a book. That onion soup looks amazing. Her photography is amazing. I love that book pumpkin too.Thanks for sharing at Keep In Touch.